"" Writer's Wanderings: Montezuma's Revenge? Ever wonder about the origins of colloquialisms? I happened to be reading something about staying healthy as you travel and it mentioned Montezuma's Revenge. Now everyone knows what that means and it isn't pretty. But who was Montezuma and what revenge is he taking on innocent travelers? The more correct term for Montezuma's Revenge is traveler's diarrhea. It usually comes from ingesting the local water. The best prevention is sticking to bottled water and soda and making sure there is no ice made from local water in your drink. It's caused by an e coli bacterial strain and is usually not serious but certainly uncomfortable. 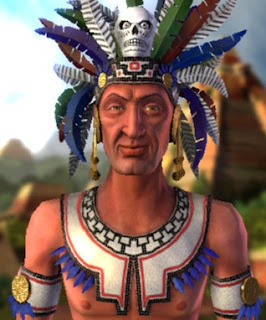 Montezuma II was the leader of the Aztec civilization in the early 1500s when Cortes invaded and conquered the land. Montezuma was slaughtered by Cortes but whenever a white person visited Mexico and took ill, it was said to be Montezuma's revenge. An interesting article I found on a British site said that there are lots of names associated with traveler's diarrhea depending upon where the traveler is visiting. You might hear it referred to as Ghandi's Revenge, Delhi Belly, The Cairo Two-step, or the Rangoon Runs to name a few. One of the more recent is Teheran Tummy which I assume came from troops stationed there. So stick to bottled water. Don't eat fresh fruits or vegetables that do not get peeled. Stay away from salad greens that are washed in local water. And when you get that bottled water be sure to check that the lid was sealed (some places have been known to sell refilled bottles) and wipe the outside of the bottle if it's been sitting in ice water. Revenge is never pretty.